A two storey, light filled, energy efficient office with carefully selected materials and finishes. 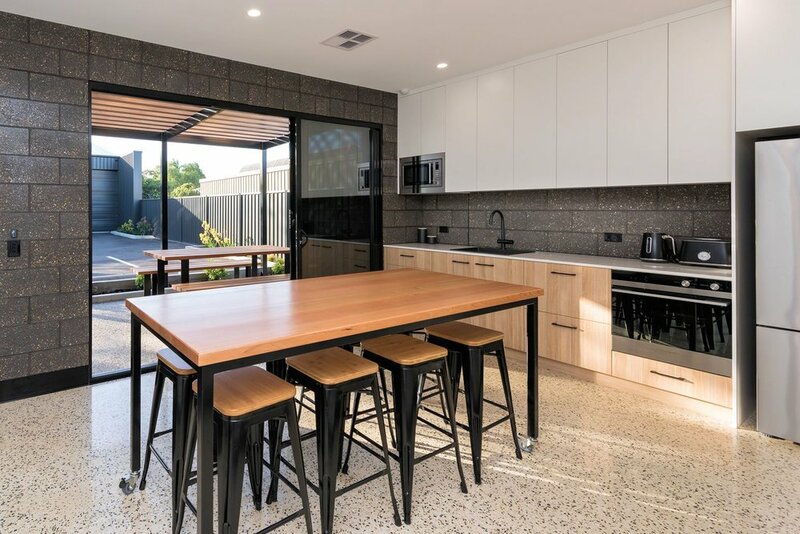 Polished concrete floors, feature timber stairs and standing seam external cladding showcase some of the typical materials sought after by our residential clients. 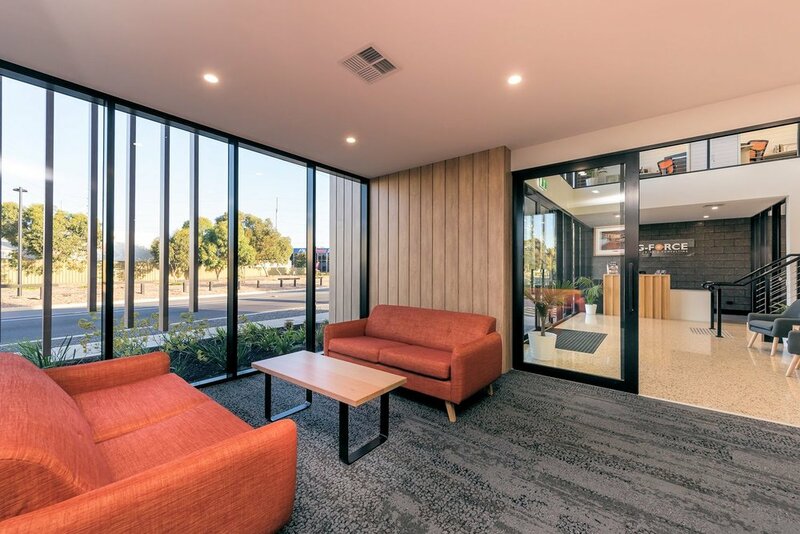 As the headquarters of our vibrant construction business we are proud to show our outstanding in house design abilities and high quality workmanship.